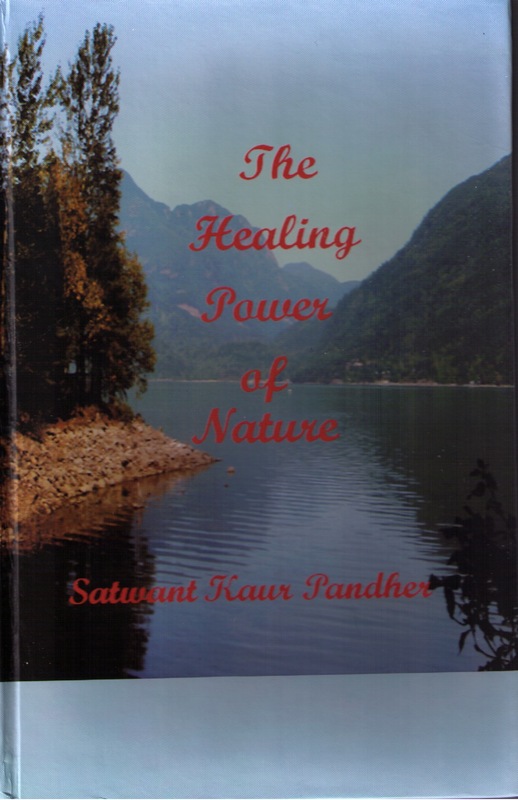 The reading year for the Poets Potpourri Society ended on a high note Monday, October 7th with the launch of Satwant Pander’s newest book, The Healing Power of Nature. 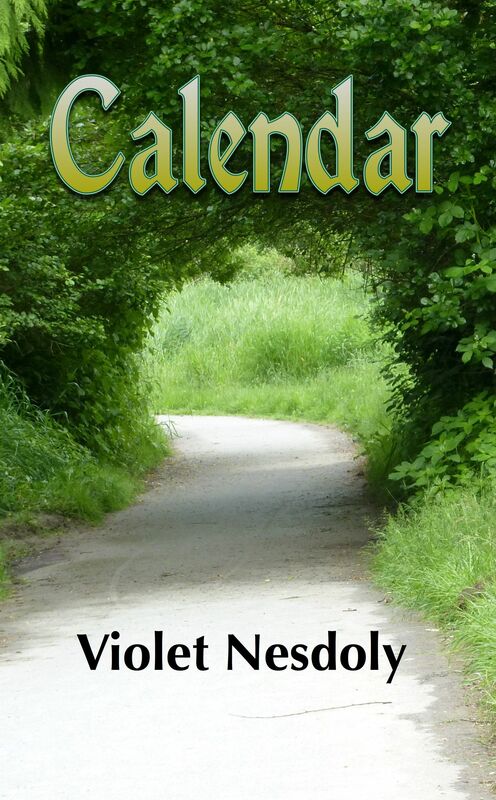 This was the fourth book launched by a PPS member in a Blue Moon reading in 2013! 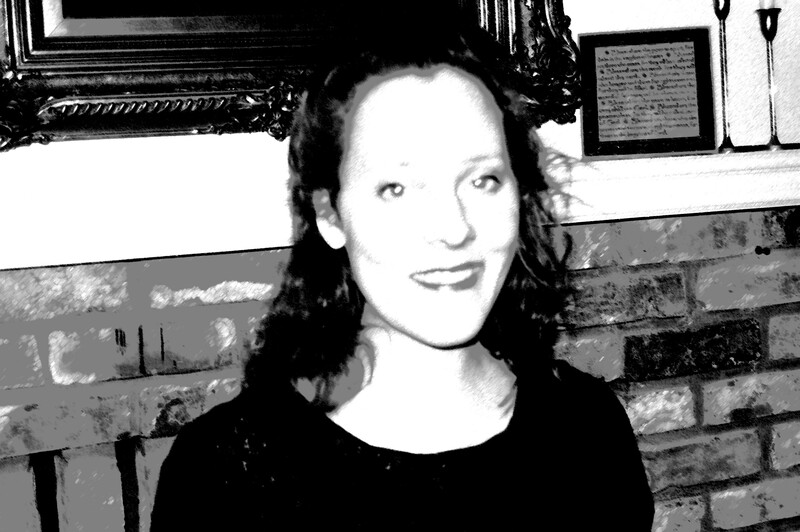 Seven readers shared the Open Mic segment that preceded the launch. 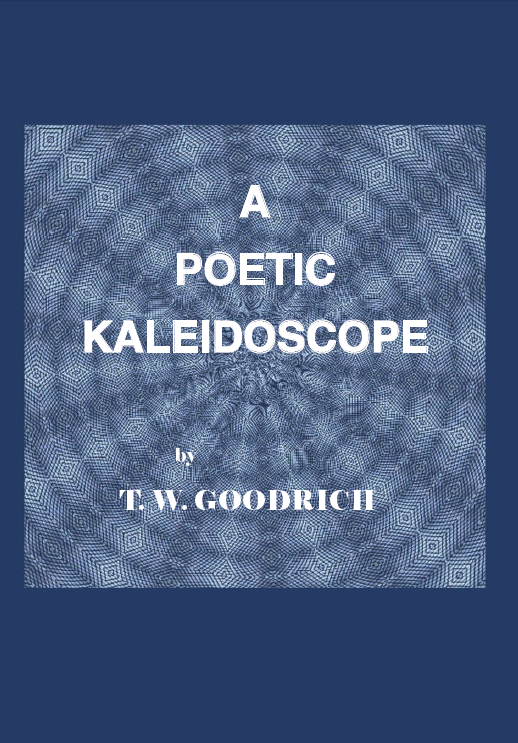 It contained the usual poetic variety, though on this evening it seemed that nature poems edged out other subjects in popularity. 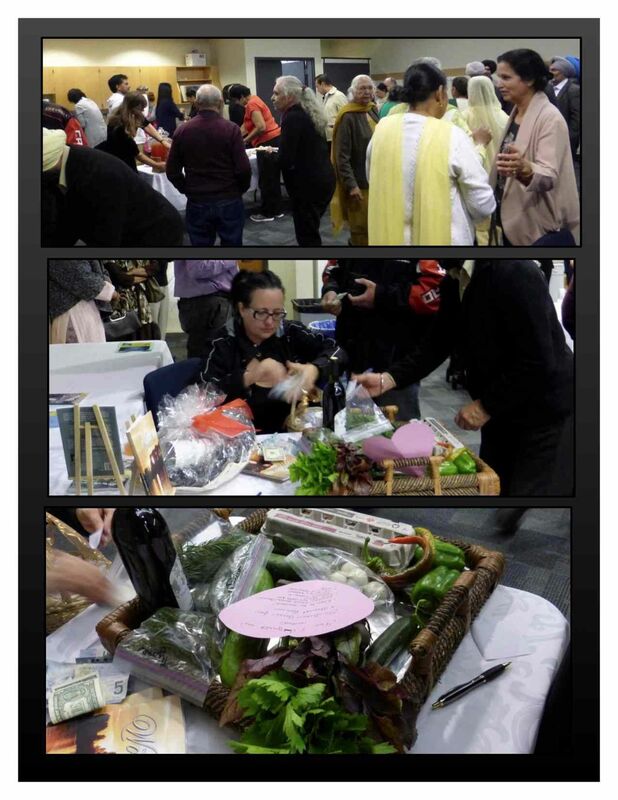 During the break, Ruth-Ann Braun sold raffle tickets on a basket of farm produce that Braun Acres generously donated (proceeds of the raffle to PPS). The draw was made right after the intermission with Shelley Haggard winning a gift bag donated by a local credit union and Violet Nesdoly the lucky winner of farm fresh herbs and vegetables, a dozen free-range eggs, a bottle of wine and a to-be-arranged Harvest Dinner at Braun Acres. Blue Moon reading break for refreshments. Raffle produce basket courtesy Braun Acres. 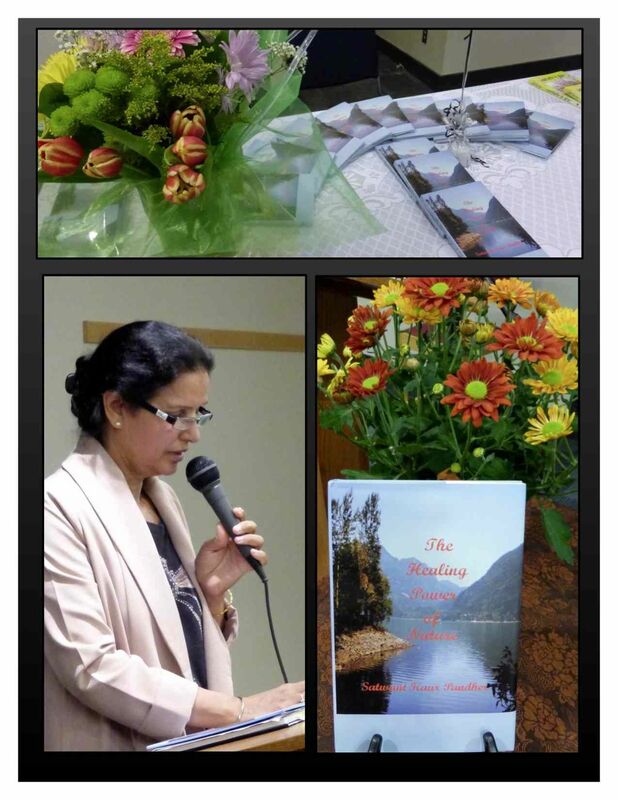 Satwant began her book launch by reading a few poems from The Healing Power of Nature. Then she invited a group of friends, colleagues, and family members to pose for a photo with each holding a copy of the book. Following this, people from the group took turns to either to read a selection they had chosen or comment on the book as a whole. 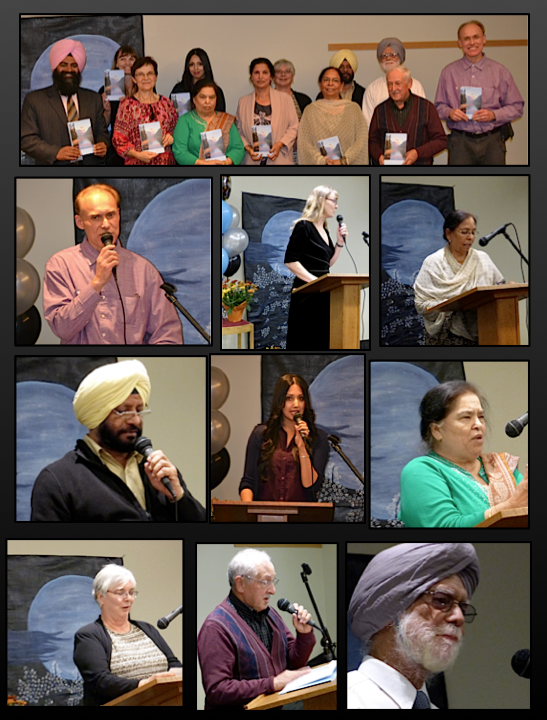 Members of the Founding Punjabi Literary Association of Abbotsford, The Central Association of Punjabi Writers of North America, and the members of Punjabi Writers Forum joined poets from the Poets Potpourri Society in launching The Healing Power of Nature. Punjabi and Canadian writers read from and comment on The Healing Power of Nature. In addition to poems praising nature Satwant’s book has poems about family, writing, her admiration of the Creator, and the meaning of life. And so it was interesting to note what people chose to read and the various aspects of Satwant’s writing that spoke to different individuals. Satwant Pander reads from her book The Healing Power of Nature. 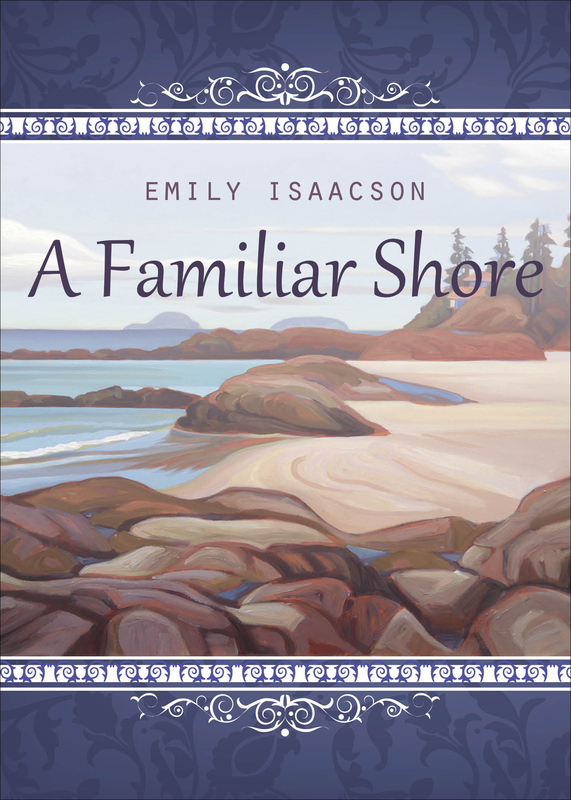 Of course along with the readings came many congratulations from members of PPS and the Indo Canadian Literary Society on this handsome hardcover volume of poetry, photographs and quotes. Well done, Satwant! 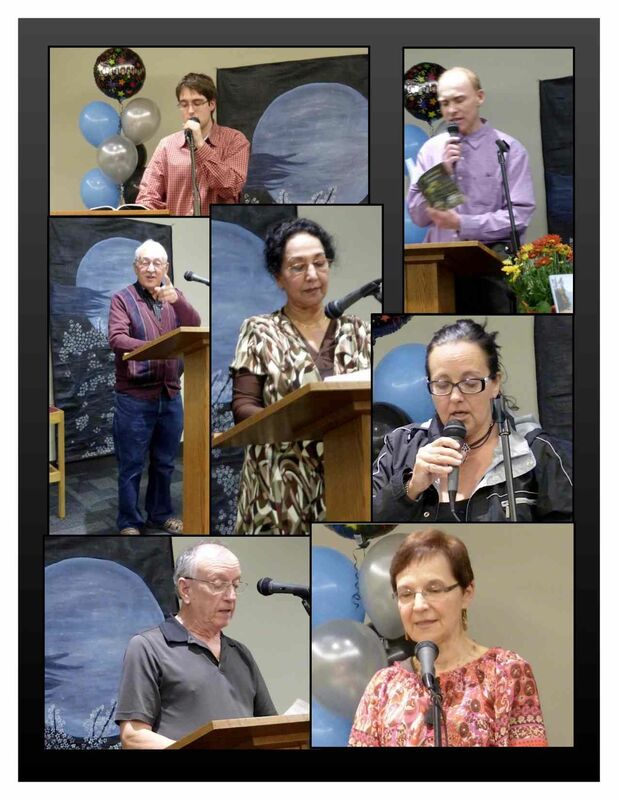 All in all It was a beautiful and varied multicultural evening, and a wonderful way to end another season of Blue Moon readings. Satwant Pander, signing books after the launch. Our next Open Mic and Blue Moon reading is approaching fast! 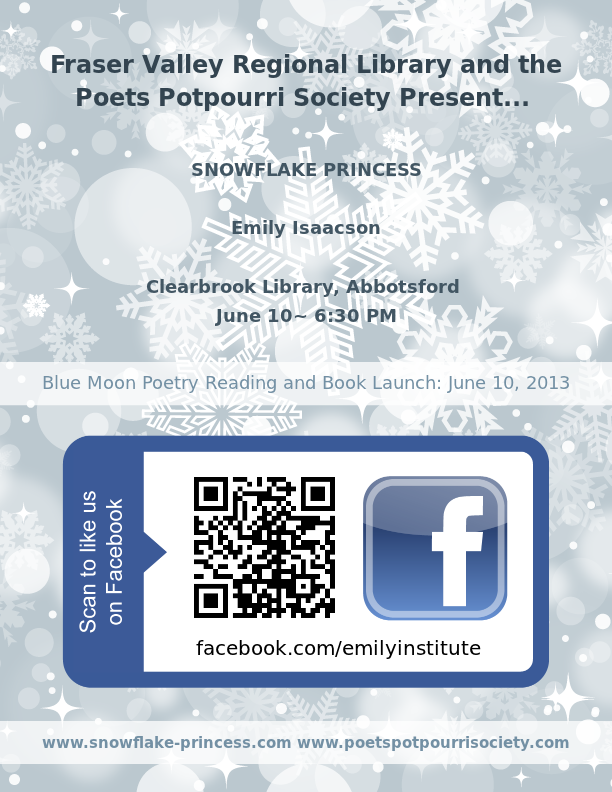 We’re looking forward to the launch of Emily Isaacson’s newest book Snowflake Princess. 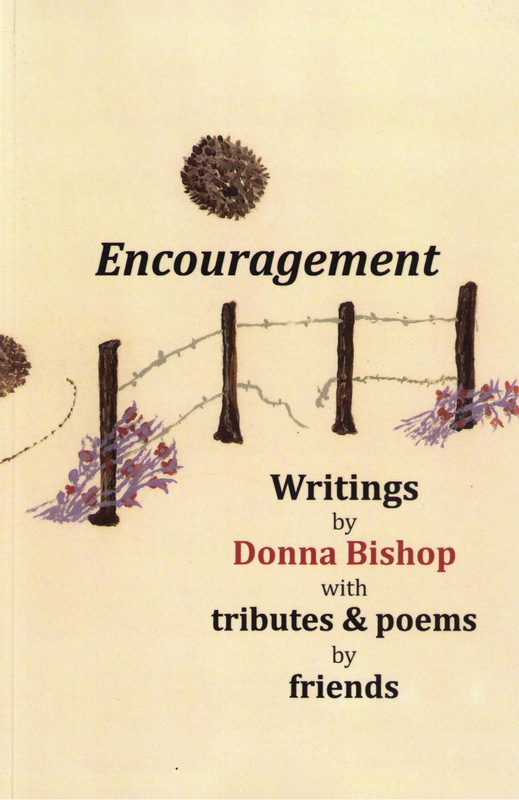 This acclaimed book of prose-poetry is a tribute. The story, based on a true story, is told in myth. 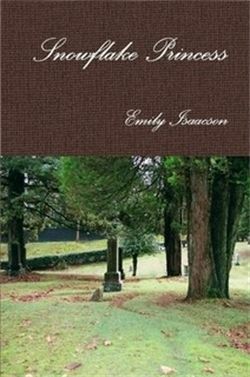 To read about the characters in the book, go to the Snowflake Princess website, select names from the menu and read samples of Emily’s prose-poems. The evening is special in another way. Guest Carol Todd (mother of the late Amanda Todd) will attend and speak briefly during the introduction. 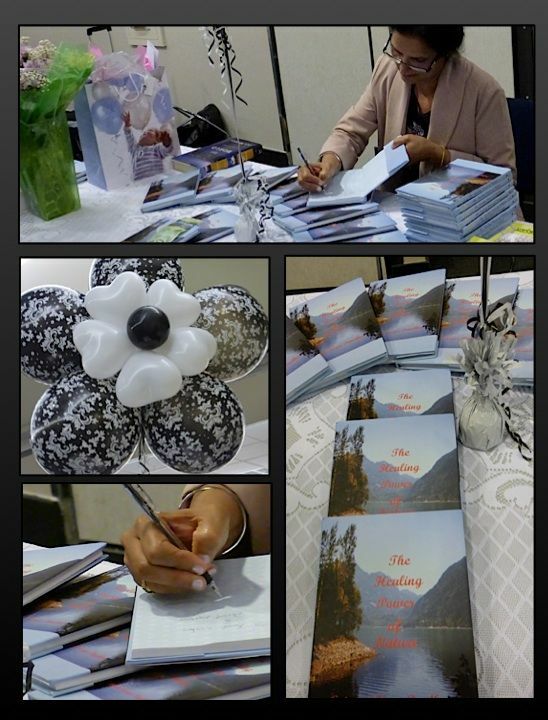 In addition the Amanada Todd Legacy Fund will receive 10% of the profits from the sale of book. The open mic part of the evening will begin at 6:30. Readers, please sign up when you arrive. 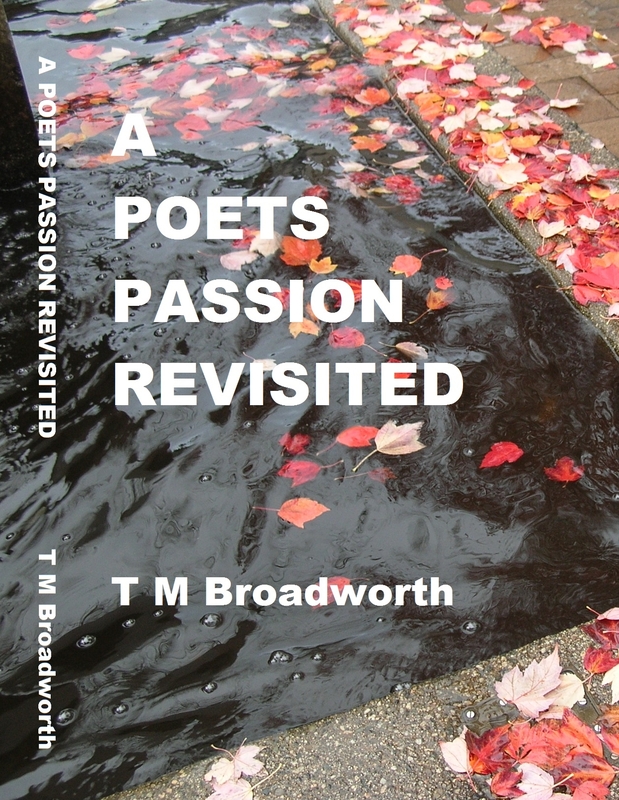 (Individuals do not need to be members of the Poets Potpourri Society to read.) Featured reading follows at around 7:15 p.m.